Our Board of Directors – A Hand Up, Not A Hand Out! The United Food Bank and Services of Plant City, Inc.
Matt Buzza joined the United Food Bank Board of Directors in 2011. He is active in the Plant City community, serving as an Appointed Commissioner for the Hillsborough County Planning Commission, as a Director for the Plant City Chamber of Commerce (2008 to current), its Chairman in 2012, and a Director of the Plant City Rotary Club. Prior community service includes serving on the Plant City Planning and Zoning Board (2002 to 2014), Plant City Family YMCA (1998-2004) as Director, United Way East Hillsborough (1999-2002) as Director, Kiwanis Club of Plant City (1998-2010) as member and President in 2004, South Florida Baptist Hospital Diamond and Denim Committee (2001-2007) as Director, Florida Strawberry Festival (1999-2010) as Volunteer, East Hillsborough Law Enforcement Assoc. 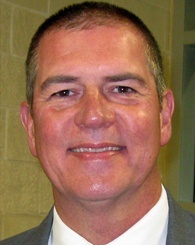 (1999-2002) as Director, and Outstanding Citizen of the Year Committee (2002-2009). Mr. Buzza graduated from Plant City High School in 1985. He earned a BBA in Business Management (1989) and a BBA in Accounting (1991), both from the University of North Florida at Jacksonville. 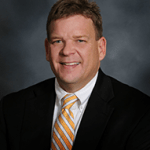 He has been active in the banking industry for over twenty years, graduating from the Florida School of Banking at UF, Gainesville (2003), the Stonier National Graduate School of Banking at University of Pennsylvania, Philadelphia (2008), the Graduate Commercial Lending School at Southern Methodist University, Dallas, and is Senior Vice President at Hillsboro Bank in Plant City. He has been married to Mary since 1995 and they have two daughters, Emily and Erin. 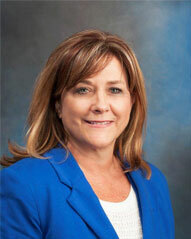 Beth Tancredo is currently Director of Operations at South Florida Baptist Hospital in Plant City, FL. Beth has been in the medical field for over 30 years. Before taking the positon of Director of Operations she worked for and developed the entire medical staff at the newest hospital in Hillsborough County; St. Joseph’s Hospital-South. 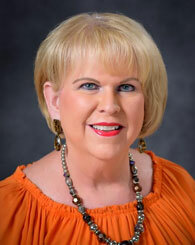 Beth worked in the Medical Staff arena for over 17 years at South Florida Baptist Hospital, which essentially means collaboration with the physicians to direct medical staff organization activities including; credentialing, privileging, quality improvement activities, peer review and leadership to assure that all necessary activities are supported and coordinated with key medical staff leaders. Before working as Manager of Medical Staff Services Beth was a Coordinator of the Cat Scan department at two separate hospitals. Beth has also been an Assistant Director of the Imaging Department at St. Joseph’s Hospital in Augusta Ga.
Beth’s Education includes a two year degree in Radiologic Technology, two year AA degree in Business, a BA in Organizational Management and a Master’s degree in Health Care Administration. In her free time Beth enjoys gardening, the beach, working on her lake lot and spending quality time with her family. Beth loves to serve her community by volunteering at the United Food Bank, Romp in the Swamp, Children’s Golf Tournament, American Business Women’s Scholarship Program, and any fundraising for South Florida Baptist Hospital. George was born and raised in Upper Arlington, Ohio. After graduating from Upper Arlington High School and Michigan State University, George served in the U.S. Air Force as the Commander of the 14th Field Training Detachment. From 1968 until 1992, George was in Real Estate Development. First with Banning and Pickett Corporation and then G.W. Banning Associates, which eventually became WendCoast Management Company. Currently, semi-retired, George owns and operates Wendy’s Restaurants in Lakeland and Bartow, Florida. George has been active in Rotary International, first in Dublin-Worthington Rotary Club as President in Dublin, Ohio. Then a member of the Dr. Phillips Rotary Club or Orlando, FL, and then the Plant City Daybreak Rotary Club in Plant City, FL. George is a Past District Governor of District 6890 (West Central Florida District). His awards include the Meritorious Award for Service to the Rotary Foundation and the Service Above Self award from Rotary International, both are the highest awards presented by the Rotary. 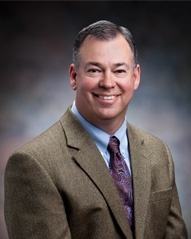 In addition to being a Rotarian, George has been President of the Worthington, Ohio Chamber of Commerce, a member of the Metropolitan YMCA of Central Ohio, a member of the Worthington, Ohio Board of education, the Executive Committee of the Central Ohio Board of Realtors. In 1994, George and his wife, Cassandra, moved to Plant City, FL. Since moving here, George and Cassandra have been involved with the Plant City Garden Club, the Plant City Veteran’s Memorial Park, and the United Food Bank of Plant City. 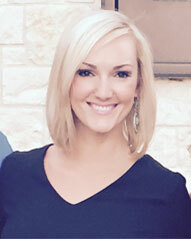 Kendelle Jimenez graduated from Durant High School in 2004 and then attended the University of South Florida where she received a BA Degree in Communication in 2009. In 2013, she graduated from the University of Central Florida, Rosen College of Hospitality Management, with a Master of Hospitality and Tourism Management. She has been a member of the GFWC Plant City Junior Woman’s Club since 2009. During her time in the Junior Woman’s Club she had the opportunity to serve in numerous positions including 2nd Vice President (Membership Chairman) 2010-2011, Home Life Chair 2011-2012, 3rd Vice President (Fundraising Chairman) 2012-2013, Public Issues Chair 2014 and 2nd Vice President (Membership Chairman) 2015. She also was the 2013 and 2014 Committee Head for the Junior Woman’s Club’s 1st and 2nd Annual Charity Golf Tournaments. She was born and raised in Plant City, FL and is married to Joshua Jimenez. They have a beautiful daughter, Lyla Lavelle Jimenez. She loves volunteering throughout the community and has a passion for helping others. In her spare time she enjoys hunting, fishing, traveling, working out and spending time with her family! Marsha Passmore is happiest and in her element when she is serving Plant City in some form of community service. Volunteering for various charities is what she does best, and she is most honored to be serving on the Board for the United Food Bank. She served Plant City as a City Commissioner for six years, with a major interest in the redevelopment of the Historic Downtown area. She earned her degree from St. Leo College now a University in Human Resource Management with understudy in Marketing, and the General Motors School of Accounting. She was a General Motors Accountant for 22 years in her career. Marsha has received numerous awards and honors over the years, but one of her most prized was being selected Plant City’s “Citizen of the Year” in 2011 by her peers. Marsha currently serves on the Board of Directors for the Arts Council of Plant City, the Robert W. Willaford Train Museum, South Florida Baptist Hospital Diamonds & Denim Executive Committee, Plant City Christmas Parade, Plant City Entertainment, Inc., Unity in the Community, City of Plant City Historic Resources Board, Strawberry Festival Queen Exhibit Co-Chair, Strawberry Festival Neighborhood Village Committee Chair, Strawberry Festival Ambassador Captain, Member of Plant City Chamber of Commerce, East Hillsborough Law Enforcement Board of Directors, Photo Archives & History Center Advisory Board, and more. Marsha and her family worships at the Plant City First United Methodist Church. She has been married to Billy Passmore for 40 years. Jon was born and raised in Plant City, Florida. After graduating from Florida Southern College with a Bachelor of Science degree he joined his family business, Poppell Insurance where he has worked for 27 years. Jon is a member of the Plant City Rotary Club, associate director for the Plant City Strawberry Festival and is currently the Treasurer for the United Food Bank of Plant City. Jon enjoys the outdoors especially farming, hunting, ranching and fishing. Jon and his wife, Leslie, have two sons, both pursuing agricultural careers. 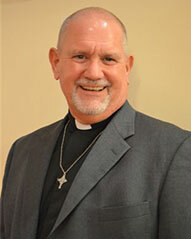 I have been blessed to serve here at Hope since June 1996, and named Sr. Pastor, November 2009. Previously served as Associate Pastor, Faith Lutheran Church, Sebring, Florida 1994-1996. Graduate of Long Island University 1981 with Bachelor in Political Science, 1982 – Master of Public Administration, 1994- Master of Divinity- Concordia Seminary, St. Louis, Mo. Completed Pastoral Leadership Institute in 2006 with credits towards Doctorate of Ministry. Served as member of the Board of Directors, Florida Georgia District, Lutheran Church Missouri Synod (June 2000-2009). Serve as Circuit Visitor, Winter Haven Circuit Florida Georgia District 2012- Present; Member Board of Directors, United Food Bank of Plant City 2010- Present; Member Board of Directors Plant City YMCA 2014- Present- Currently serve as 1st Vice Chairman, Member Plant City Daybreak Rotary since 2013. Served mission trips to Bishkek, Kyrgyzstan and India. Prior to ministry Dean served as Assistant to the late Rep. Norman F. Lent (4th CD, New York) and late State Senator John D. Caemmerer (NY). Also served as domestic relocation administrator Grumman Aerospace Corporation, Bethpage, New York and Southeast Administrator, Grumman Aerospace- Huntsville, Alabama. Born and Raised in Westbury, New York, Married April 1983 Elizabeth (Liz) blessed with 3 children, Kristin (and Emad) an educator in Hillsborough County, Daniel (and fiancee’ Jesilynn) a banker, and Jason an educator in Hillsborough County and M. EdL student at USF. All three are graduates of PCHS. 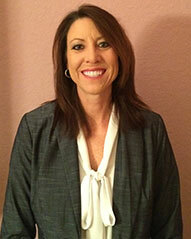 Liz is Human Resources Coordinator & Administrative Manager for HNTB Engineering, Tampa, FL. Dean recently became a proud grandfather to baby Alex. Dan is the owner of Raulerson & Company, CPA’s and Consultants, a certified public accounting and consulting firm focused on auditing, tax planning and strategic planning for medium and small business clients in the central Florida area. Dan is also an owner and CFO of Aasys Group, Inc. an information and technology consulting firm specializing in the community banking industry in the southeast United States. Dan has been recognized as one of the Jaycees Outstanding Young Men of America and a Who’s Who of Executives and Professionals. He also received the Outstanding Discussion Leader Award for his seminar presentations to the Florida Institute of Certified Public Accountants. 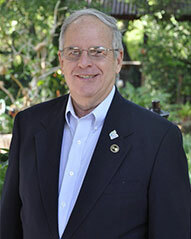 Dan has served as Mayor for Plant City and City Commissioner. He is a past Chairman of the Plant City Chamber of Commerce and serves on various bank, charity, and business boards of directors. Dan and his wife, Shirley, have two children, Jaclyn and Alek and make their home in Plant City. Bruce is originally from upstate New York. He started his career in the fruit and vegetable business as a produce buyer and for 14 years was with A&P Food Stores. Following that Bruce was involved in public relations, radio and television for the Western New York apple industry. In 1970 he joined an agricultural marketing firm and relocated to the Hudson Valley of New York State where he headed up an apple packing operation for 5 years. The firm then moved him to Northeast Pennsylvania and he became President of Merchants Produce Company. In 1996 he was relocated to Plant City to head up a strawberry operation and retired from that position in 2001. Bruce is active in the Plant City community serving on the Chamber of Commerce board, the City of Plant City Planning Board, the YMCA board, the South Florida Baptist Hospital Foundation board and in addition serves on the St. Joseph’s Hospital board in Tampa and the BayCare Health System board in Clearwater. In 2009 Bruce was named Plant City’s Citizen of the Year. Bruce has been married to his wife, Margaret for 28 years. They have 6 children and 13 grandchildren. Commissioned Warrant Officer 4 (rank of Major) and Chief of Latent Print Division for US Army Criminal Investigation Laboratory. A Certified Forensic Scientist specializing in latent prints, and post mortem identification with Bachelor degrees (Criminology & Psychology) from St. Leo University, graduate of FBI Academy Latent Print Examiners, Army Personnel Management for Executives and FSU Certified Public Manager. He is active in the Plant City community, serving on Board of Directors for the Improvement League of Plant City, Bealsville Incorporated, and Plant City Photo Archives & History Center Advisory Council and Board of Directors and volunteer instructor for the Plant City Youth Forensic Science Club (2014 -current). Prior community service includes serving as the Improvement League President (1995- 2002), President, Kiwanis Breakfast Club (1997), Board of Directors, Plant City Chamber of Commerce, Co-Chair Hillsborough County School Board Capacity Council (Strawberry Crest H.S. ), President Plant City Eagles Youth Football & Cheerleading Program (2004-2014), Lakeside Station/Brownfield Clean-Up, Liaison Project Manager, Eagles Youth Sports Complex and MLK Multi-Purpose Building in Plant City. Prior work with Hillsborough County Sheriff’s Office, and Mississippi Crime Laboratory as the Forensic Latent Print Chief. Currently serves as Identification Administrator for the Polk County Sheriff’s Office, member of Law Enforcement and Forensic organizations (National & International), featured as an expert analysis on Crime TV’s “Forensic Files” and in various Forensic Science Publications. Bill and his wife Gwen (47 years) returned to Plant City after serving 24 years in the Army (1993). They have two sons, William and Chad, three grandchildren and two great grandchildren. Silvia Azorin Dodson was born in Camaguey, Cuba. She is the daughter of Jossie de Quesada Azorin and the late E. Antonio Azorin. Her family escaped from their native country in 1960, when Fidel Castro brought change to Cuba and with it communism. The Azorin brothers and their families moved to Plant City, Florida in 1963. The brothers; Rogelio, Manuel, and Antonio with the assistance of local investors and friends, built Florida Brick & Clay Company, Inc., manufacturers of clay pavers and pool coping products. With perseverance and the grace of God, the company is in its 45th year of production. Silvia is Customer Service Coordinator at Florida Brick & Clay Company. She is a graduate of Plant City Senior High School and Polk Community College. 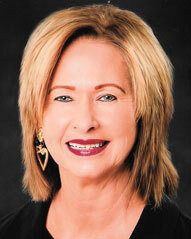 She was the 1968 Florida Strawberry Festival Queen, is a member of St. Clement Catholic Church and its Envision Team. She and her husband, Plant City Commissioner Bill Dodson, have two children; Austin and Brittney. Personal Mission Statement: Through your life experiences, your talents and the grace of God, you broaden your ability to give back to your community from your heart. Dodie is currently the Controller for Cone & Graham, Inc. in Tampa – a road and bridge building contractor. She has worked in the construction industry for twenty-eight years. Dodie is an honor graduate from Saint Leo College (University) where she majored in Business. She is proud to have been born and raised in Plant City and is happy to still call this her home. She loves Plant City and is excited to serve on the United Food Bank Board where she hopes she can help to make a positive impact in her community. Dodie is not a stranger to community service – she considers it the ‘right thing to do.’ She loves the Arts (Visual and Performing), and she has served on the Board of Managers for Plant City Entertainment, Inc. since 1989, having just completed another term as its President. In addition, she holds positions on the Arts Council of Plant City, Plant City Photo Archives and History Center Advisory Board, Friends of the Bruton Memorial Library, Plant City Christmas Parade, Inc., Veteran’s Monument Committee, Florida Strawberry Festival Ambassador Co-Captain, Neighborhood Village Co-Captain, and Queen’s Exhibit Co-Captain. 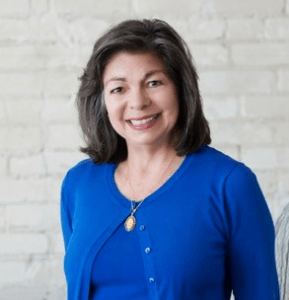 In prior years, Dodie has served on the boards of the Business and Professional Women’s Club, American Business Women, Junior Woman’s Club, Lioness Club, and the American Cancer Society. She has attended the First United Methodist Church of Plant City for many years, and has served in the past on the Board of Trustees. 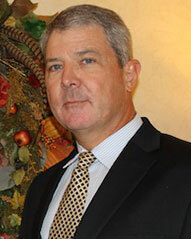 David Davenport is the Rehabilitation Manager at South Florida Baptist Hospital. He is also an Occupational Therapist and a Certified Hand Therapist. He specializes in “upper quarter” rehabilitation. David’s area of practice includes Bio-mechanical, Neuro-developmental, and Rehabilitative approaches, addressing a multitude of acute and chronic human performance deficits. 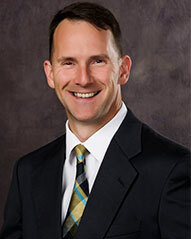 He has special interest in hand therapy, including shoulder rehabilitation and upper extremity orthotic fabrication. He also serves on several committees at the hospital. David is a member of the American Society of Hand Therapist, American Occupational Therapy Association, Plant City Lions Club, Plant City Elks Club, Friends of Alafia, board member in his Home Owners Association, South West Association of Mountain Bike Peddlers (SWAMP) member and board member of the Plant City YMCA. He is an avid cyclist, enjoys running, working out in the gym, outdoor activities, and time with his family. Donna Burke joined the United Food Bank board of directors in early 2012. She is a Plant City native, having graduated from Plant City High School and then Florida Southern College with a degree in Business Administration. She holds an MBA from Saint Leo College and holds a CPSM certification. Donna is a Purchasing Manager with Mosaic Fertilizer, LLC. She is a member of Springhead Baptist Church and enjoys spending time with her husband, Don, and their three children, Tyler, Haley and Jackson. 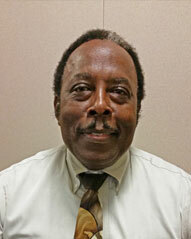 Earl Biggs has worked Gordon Food Service for 35 years and is currently the director of transportation. He is a U.S Army Veteran that serviced in the Army Security Agency for 3 years. He married to Faith Biggs that is a sales director for Thirty-One and President of their local HOA. They have 5 children and 9 grandchildren and enjoy seeing them as often as they can. They also enjoy going on cruises and spending time with friend and family. Bill McDaniel has served in various capacities with the City of Plant City since 1985. 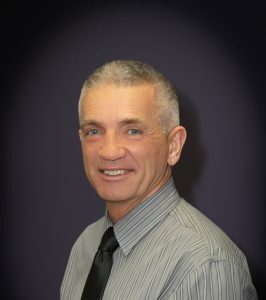 Starting his municipal government career as a police officer, Bill rose through the ranks and was appointed Chief of Police in December 1996, a position he held until November 2012. In January 2013, Bill was appointed as Assistant City Manager and in January 2018 was appointed City Manger for the City of Plant City, and continues to serve in that role. Bill has served on numerous committees and boards over the last 30-plus years, including the Plant City Public Safety Employees’ Pension Board, and East Hillsborough Law Enforcement Appreciation Association. In his spare time, Bill enjoys motorcycle riding and photography. Bruce Sperry joined the United Food Bank Board of Directors in the summer of 2018. 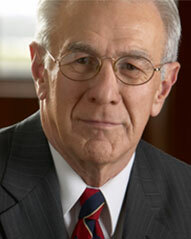 He is the Founder and President of Sperry Law Firm, which was formed as Bruce J. Sperry, P.A. in 1994. Bruce has been practicing in Plant City for 31 years. 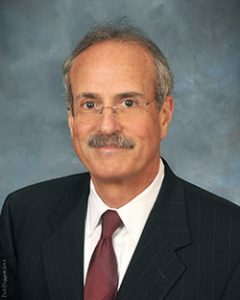 Prior to opening Sperry Law Firm, Bruce practiced in Plant City with Edwards, White and Galloway, as well as in Jacksonville, Florida for two years and Miami, Florida for five years. 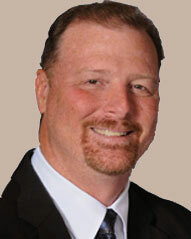 Bruce is an active member of the Hillsborough County Bar Association and the East Hillsborough County Bar Association. Brian is a third generation citizen, and life-long resident of Plant City. He is a graduate of Plant City High School and Florida Southern College where he earned a Bachelor’s Degree in Human Resource Management, with a minor in Finance. He has worked with Publix Super Markets for 24 years, and is currently the Media and Community Relations Manager. Brian is a Past President of the Plant City Lions Club, a current Board Member and Past Chair for the United Food Bank of Plant City, and currently serves as the Chair-elect for the Greater Plant City Chamber of Commerce. Brian’s wife, Jennifer, is the Principal of Lincoln Elementary – an International Baccalaureate World School. She has managed to put up with him for 17 years. They have three young children; Elizabeth (11), Elijah (8) and Emory (4) – affectionately described as the smart one, the sweet one and the devil, respectively.